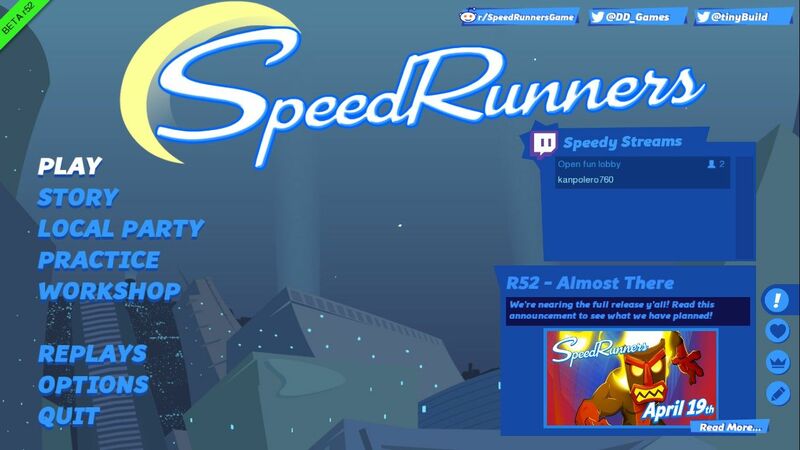 SpeedRunners is a third-person platformer game available on Steam from DoubleDutch games. The game sets you up in stages with the goal to be the sole speedster to win games against AI or Player characters. 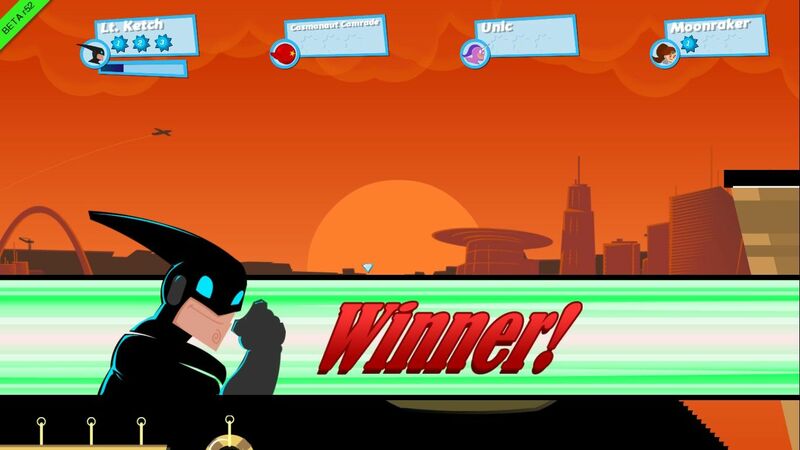 Winning in SpeedRunners requires you to win a race-to-three games against bot or players over local area network or online. You will go against a maximum of 3 other players in obstacle-course like maps. You will have to jump, slide and use your grappling hook (basically Flash with Batman gear) to speed through against your opponents. You can also grab and use weapons to incapacitate and delay your opponents to win like some sort of 2D Mario Kart. 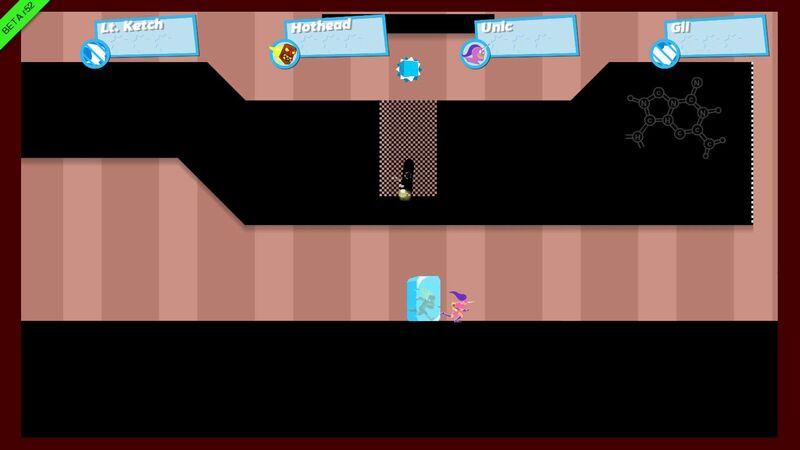 As you race through the stages in SpeedRunners, there will be areas that you can use your grappling gun to swing you forward, backward or even sideward to move past your opponents. This is key as dodging your opponent’s traps is a make or break situation when gameplay is as fast as SpeedRunners. I like that the game subtly puts emphasis on being able to maximize your use of the grappling gun. Because not only does the gun propel you forward, it also works like a redirecting force to swing you into sudden map turns (against good players, this makes all the difference in the world). Some stages even allow you to skip through obstacles and over platforms with a properly timed grapple, leaving your fellow racers shaking their fist in frustration. SpeedRunners’ weapons roster is not as diverse as what you’d normally expect from other similar titles. So far the game has seven weapons you can get randomly from the boxes. They are namely: Ice gun, Golden Hook, Homing Rocket, Drill, Metal Crate x1, Metal Crate x3, Shockwave and the Rolling Ball of Doom (not official name). The game’s physics engine is simple enough that avoiding all these attacks are intuitive enough that you won’t need to really delve deeply into the game to understand how that works. The weapons system, while simple in concept, adds enough to the difficulty curve to keep PvP addicting. Plus the simple nature makes the game easy to learn, and nothing is so overpowered that you feel frustrated or cheated when you lose (screw you Blue Shell!). Every failure, you learn from, and hopefully get better for next time. So far the game has twelve official multiplayer maps and about 30 single-player levels. You can create your own maps and stages ala Super Mario Maker too. This adds for some fun time trial action as you race other player’s maps to beat their best time. The map making system really adds to the game’s replayability. If you’re the type of person who likes to explore other people’s works then this game feature is just for you. SpeedRunner’s multiplayer is the game’s most critical and important feature. Since the game’s story mode is short (but hammy and sweet), most of your play time will be against other players. The game allows you to connect in ranked and quick matches online; you can also play against your friends via Steam or locally if you have a LAN party going on. Sadly, I can’t report on how ping might impact online game as I was unable to connect online when reviewing the beta launch client. But LAN battles are smooth and satisfying. The game is really ripe for competitive play since each character doesn’t have a clear and OP advantage. Mostly, the character differences are cosmetic. So you can set up a SpeedRunner tournament locally and really just have a blast. The game currently has DLC based from some famous Youtubers aside from the base characters which adds a bit more cosmetic choices. 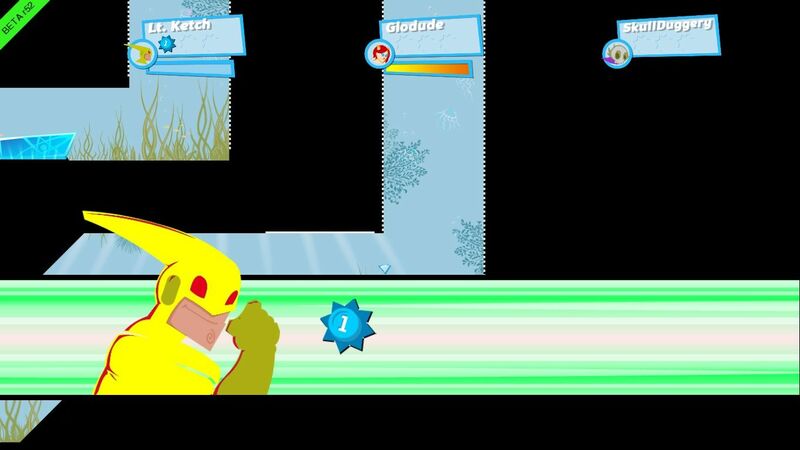 Their SpeedRunners equivalents are purposely made to be a bit more flamboyant than their actual counterparts which adds to the color the game has. 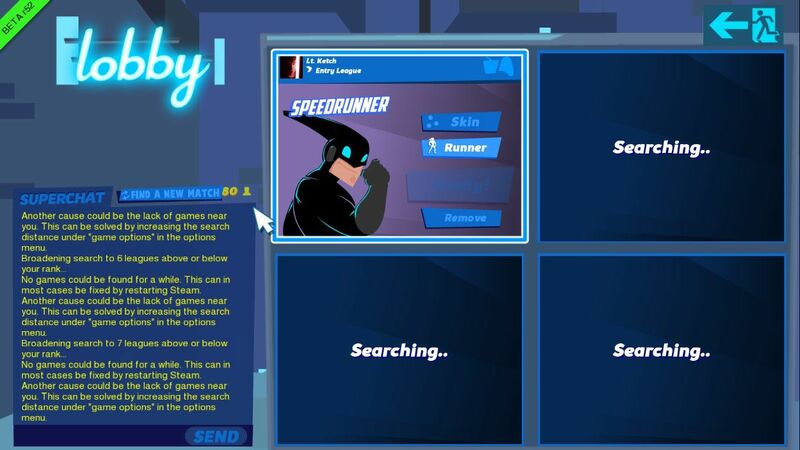 Another neat feature for SpeedRunners is that the game features Twitch integration. This really gives the game longevity as it provides players with Twitch content to continue on providing game interest. 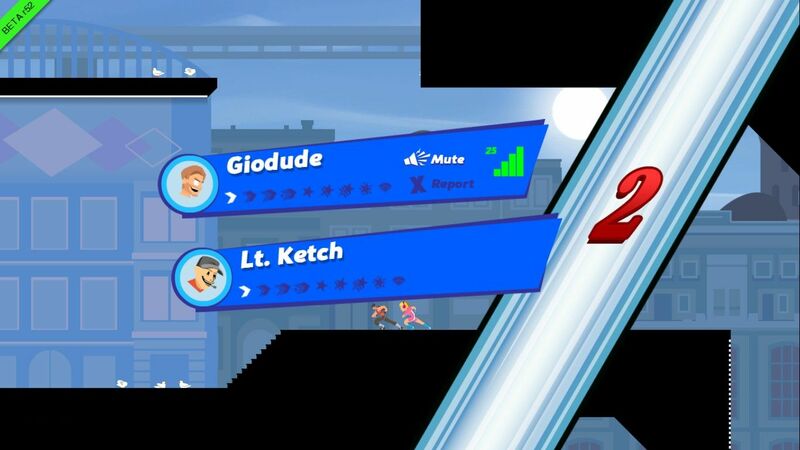 SpeedRunners is a good example of a game that can be enjoyed immensely with friends. The premise is simple enough, and the solo play can only go so far. 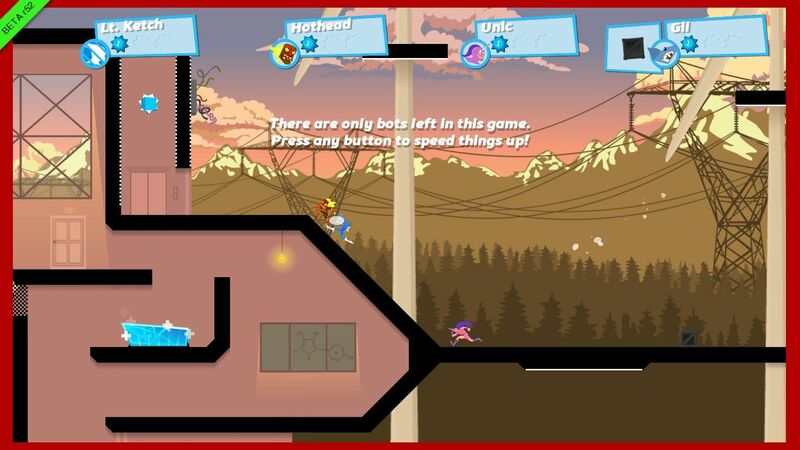 Like most casual games, you can enjoy SpeedRunners in short spurts, capitalizing on the simplistic gameplay that focuses more on the player’s dexterity and map awareness. The Super Mario Maker-like game feature and the inclusion of a Twitch recording/streaming integration adds more replayability for SpeedRunners because there’s a dedicated base of people who just loves creating and running through maps, especially with a Twitch audience. 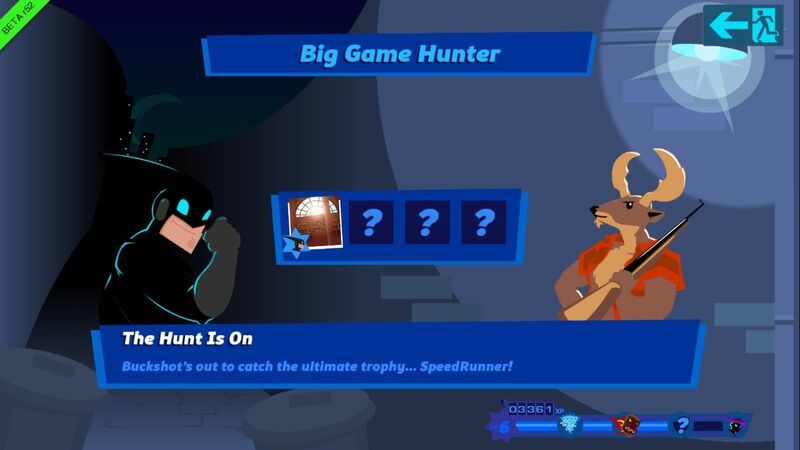 Overall, SpeedRunners is a good pick-me-up game and is like a “game palate cleanser.” If you’re getting tired of playing the game you are currently spending your time on, you can just load SpeedRunners up and play. The downside to this kind of feel however is it would seem that the game isn’t to be taken seriously as a “main game.” But of course that’s far from the truth as SpeedRunners can and will be a good solid game for competitive and even ranked play. The lynchpin for that to work however lies on how well the community is taken care off post-launch and the willingness of DoubleDutch to experiment on the game formula while maintaining the status quo. SpeedRunners is a game that I can highly recommend to anyone looking for a title that can still be competitive in small bites, and thankfully isn’t just another MOBA. The game is fun and the gameplay simple enough but not dumbed down that it allows you to be creative. The looks are clean and won’t strain older PCs, and there’s plenty more room for growth should the devs continue post-launch development. I’ll definitely be keeping this game on my PC to hop in from time to time.